Psalm 91 is an amazing chapter for anyone who struggles with the fear of not being safe. It is a powerful picture of safety and security. It tells us that we are living in the secret place of the Most High. 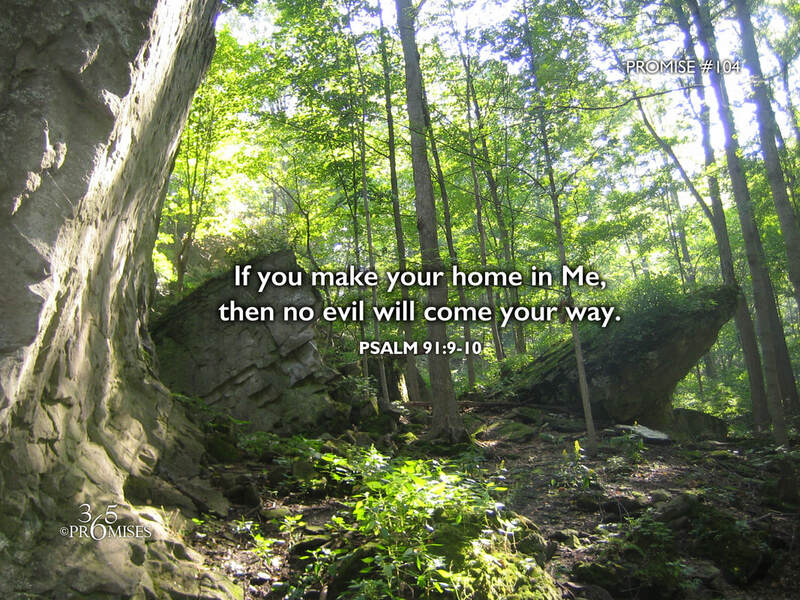 In today's promise we read that when we make our home in the Lord, no evil will come our way because we live in the fortress of the living God. I am sure that many of us have watched movies or read stories of huge castles, surrounded by high walls, motes and scores of soldiers. Even that picture of safety and security pales to the sense of protection that we have when we abide under the shadow of our Papa's wing. Jesus did tell us that in this world we will have trouble, but we can be encouraged because He has overcome the world. Living in the secret place does not mean that we are insulated from trouble but it does mean that when troubles come, He is the safe place where we can find safety and security. My prayer today is that each and every one of us would feel the safety and security that comes from knowing that we have a refuge in the heart of our God and Father, where we can live all the days of our lives. I pray that fear would have no place in our lives as we make our habitation in the living God.